On July 26-29, 2018, The Comparison Project and the Des Moines Area Religious Council will co-host the second annual Interfaith Youth Leadership Camp at Drake University. 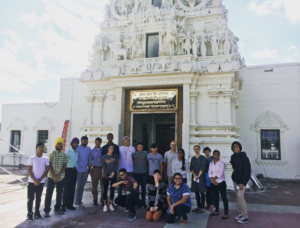 20 high school students representing a diverse array of religious traditions and communities will spend four days and three nights at Drake University, learning about each other’s religious beliefs and practices. Participants will create and share a digital story that expresses a personally meaningful faith experience, practice, or belief, visit religious communities in Greater Des Moines, and discuss with each other the principles and practices of interfaith leadership. The general public is invited to view the campers’ digital stories at a film screening on Sunday, July 29th at 3pm in Meredith 101.